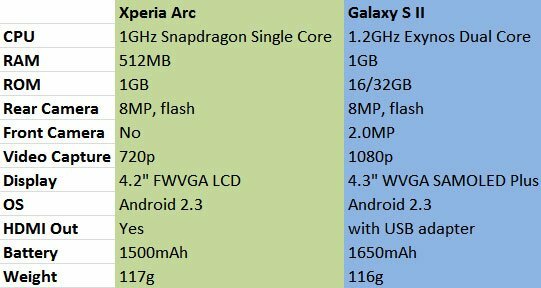 Pocketnow.com has staged a well-detailed showdown between two of the hottest new Androids on the market: the Samsung Galaxy S2 and the Xperia Arc. But is it a fair fight? The Galaxy S2 buzzes with a 1.2 GHz processor, while the Xpera Arc "only" rocks 1GHz. 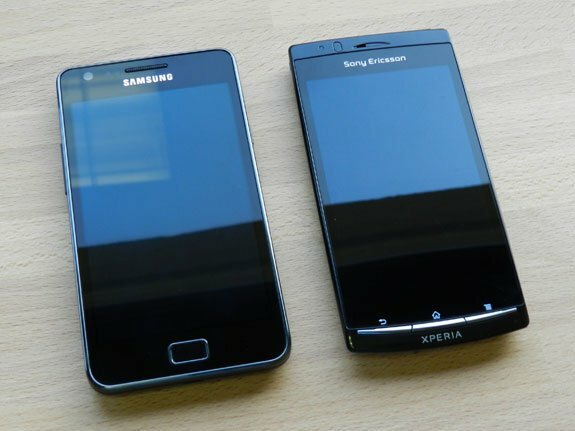 Still, the phones certainly have more than a few similarities – both are very thin and have extremely bright displays. Even if the Samsung Galaxy S2 is the current star of the Android universe, the Xperia Arc still manages to make quite a good impression. Its price – at $150 less than the S2 – will also certainly play a decisive role in the minds of descriminating shoppers.